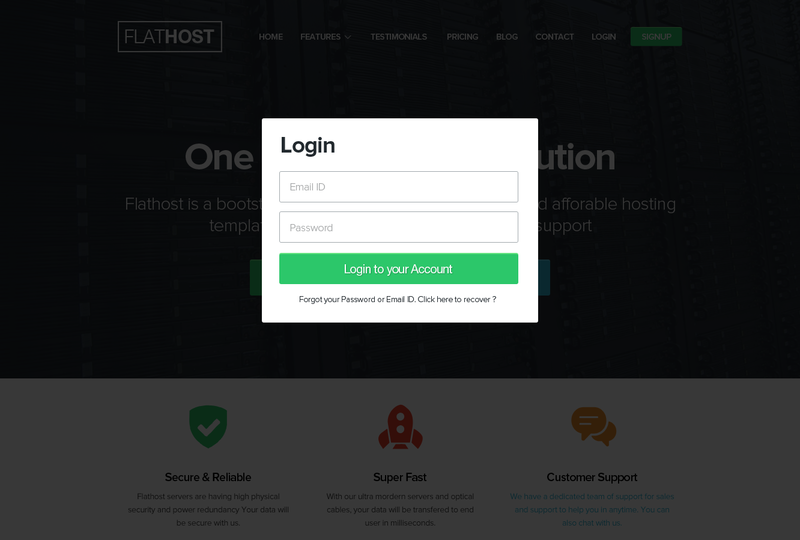 Flathost for WHMCS v7.7.0 Template will be available to download now. I am very pleased with not only the simplicity of this template but also the support I received when integrating the whmcs templates. Support questions were responded to almost immediately. Thank you!! The support is fantastic! I received fast replies and step by step instructions on how to fix any errors that I have come across. I would go with FlatHost simply for the amazing support, but the design and flexibility itself are astonishing. 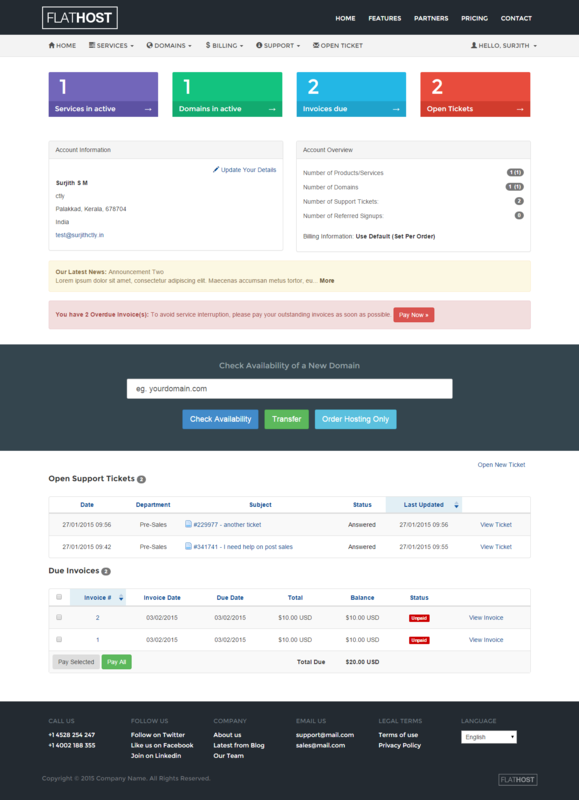 Great theme for WHMCS. Good support if you got questions to ask for example installation. Thanks Surjith ! Great design and fast customer service. Surjithctly is a great all around person and I hope to see much more from him. Very complete, and good design and backend. Very good support! A very complete template, just missing some minor futures, i hope with updates we can achive them. Thanks. Customer support is great . Had some minor adjustments whicxh needed to be done and got an immiediate response Thanks!! Wonderful design, I love the layout and look and color. I have modified it a bit to make it more my own feel for my site but great great work! 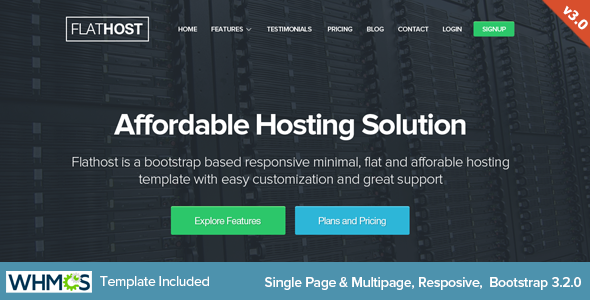 Theme – 10/10 Support – 10/10 Features – 10/10 What more is needed?? Really love the simplicity of this theme. Easy to customize and use as a way to learn Bootstrap. Looks unique that’s why I bought it. Thanks for your excellent support! I give it 5 stars! thanks… this is my favourite theme,good job. And 70+ Five Star reviews! !